The Greater Killeen Chamber of Commerce can help members build and launch targeted, multichannel marketing campaigns at a fraction of the cost of traditional solutions. New homeowner and new mover reports, data clean-up, digital campaigns and look-alike reports are custom-priced. Now the Greater Killeen Chamber of Commerce can help you build and launch targeted, multichannel marketing campaigns at a fraction of the cost of previously available solutions. 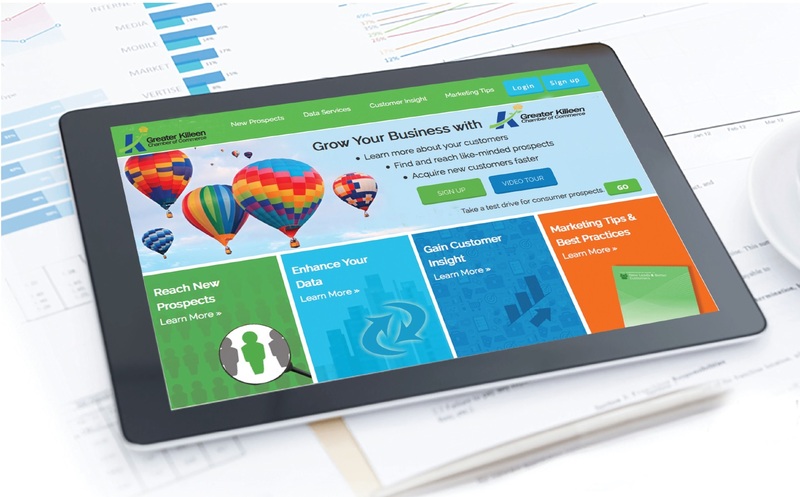 We are your partner in growing your business providing the leading tools in consumer insight. Whatever the size of your business, you can now access sophisticated marketing services through us. We can help you with sales leads and mailing lists on demand, cleaning and enhancing your customer files, and gaining valuable customer insight through detailed reports. We can even build and launch multichannel mobile and social ad campaigns with the publisher of your choice, applying the same filters used when generating a prospect list for direct mail. As your local chamber of commerce, we can provide precise audience targeting to reach consumers who are most likely to take advantage of your marketing offers. In short, the Greater Killeen Chamber of Commerce can empower your business to find new customers faster, save money and improve your direct marketing ROI. New Homeowner Lists: Designed for marketers of all home-related products and services. Updated weekly to help you reach confirmed new homeowners in any area. New Movers Lists: New movers looking to establish new relationships with neighborhood services. Updated weekly from multiple sources to help you reach confirmed new homeowners or movers to let you access ready-to-spend new movers. Look-A-Like Report - We can overlay more than 3,000 demographic and psychographic categories of information to each consumer in your database. This data will provide you with added buyer behavior insight and enhanced segmentation, and it will position you to communicate with your customers and prospects with greater relevance and personalization about individual areas of interest and life stages. 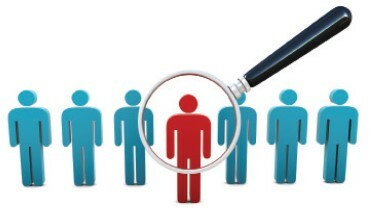 Learn what your customers "Look Like" and identify prospects in your trade area. 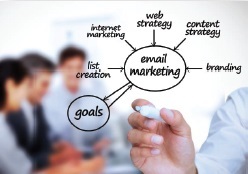 E-Mail Marketing - Reach prospecting targets via full-service customer acquisition and retention programs. Achieve your goals through a strategically designed program that includes testing, analysis and refinement for optimizing campaign return. Social Advertising - Target 1.3 billion users on Facebook as you target your customers or prospects with the same list and selects that you use to build a direct mail list or mobile campaign. Mobile Campaign - Reach the same audience you already target with direct mail, but reach them multiple times, for a lot less money. Easily deliver your message to households and individuals based on demographics, lifestyle interests and purchase behavior and the devices they carry with them all day. Work with a Data Services specialist to target your campaign needs and get specific, industry driven prospects. Partnering to offer more than 40 years of experience in direct marketing and data compilation, we offer the industry's widest variety of mailing lists and sales leads - including a huge range of selection options - to help you reach your best prospects and more easily find new customers. Designed for marketers of all home-related products and services. Updated weekly to help you reach confirmed new homeowners in any area. New movers looking to establish new relationships with neighborhood services, home furnishing stores, telephone and internet service providers, banks, local entertainment venues and more. Challenges Addressed - Companies clamoring to make their products or services stand out from competitors' traditionally have had difficulty pinpointing exactly who are their target customers and then using that information to broaden the search and find other customers they didn't know existed. What is Look-A-Like Portrait Reports? Look-A-Like Reporting provides critical insights into your current clients and prospects to improve intelligent data ordering. Look-A-Like Reporting can help you grow your business and improve your bottom line by providing real-time demographic insight and analytics to increase response to your targeted marketing campaigns. The Look-A-Like Portrait Report functionality provides a list of potential new customers that share attributes with (or "look like") current customers. The report includes recommendations for prospects based on the client data submitted as well as useful details that pertain to your target audience. How Look-A-Like Portrait Reports Work - Look-A-Like Reporting uploads a current client file for analysis, then generates a Look-A-Like Summary Report, Look-A-Like Detailed Report or an Enhanced Look-A-Like Report. The Summary Report uses nine data elements and is for users who know their clients but are looking for a broader target audience. This simple breakdown report provides general geographic and demographic statistics on look-a-likes. Look-A-Like Detailed Reports uses 19 data elements and is for users who need insights into who and where their customers are. This data analytics report contains details graphically representing geographic and demographic information on current clients and look-a-likes. The system calculates the Market Penetration Index (MPI) to help define the prospect market potential. The higher the index, the greater the marketing potential. The Enhanced Look-A-Like Report uses 32 data elements and provides a broad view of your customer base. The report identifies sectors where you have a strong or weak market presence. You will learn who are your best customers and how they are different from less active customers. Get additional insight that will tell you how to market to them more effectively. How Look-A-Like Portrait Reports Help - With the knowledge gleaned from the Summary and Look-A-Like Detailed Reports, you'll be able to generate more precise marketing messages and then target prospects with the same characteristics as your current customers. Enrich your data and market more effectively! We make it easy for you to build and implement a powerful ad campaign with the same filters and selects you've used successfully to generate prospect lists for direct mail. In addition to sending direct mail, you can also target prospects on their mobile phones, through e-mail and through Facebook. It's as easy as 1-2-3. First you define and target your audience, then you select a campaign plan, and finally we send out your campaign. Social Advertising - Target 1.3 billion users on Facebook as you target your customers on prospects with the same list and selects that you use to build a direct mail list or mobile campaign. Mobile Campaign - Reach the same audience you already target with direct mail, but reach them multiple times, for a lot less money. Easily deliver your message to households and individuals based on demographics, lifestyles interests and purchase behavior and the devices they carry with them all day.